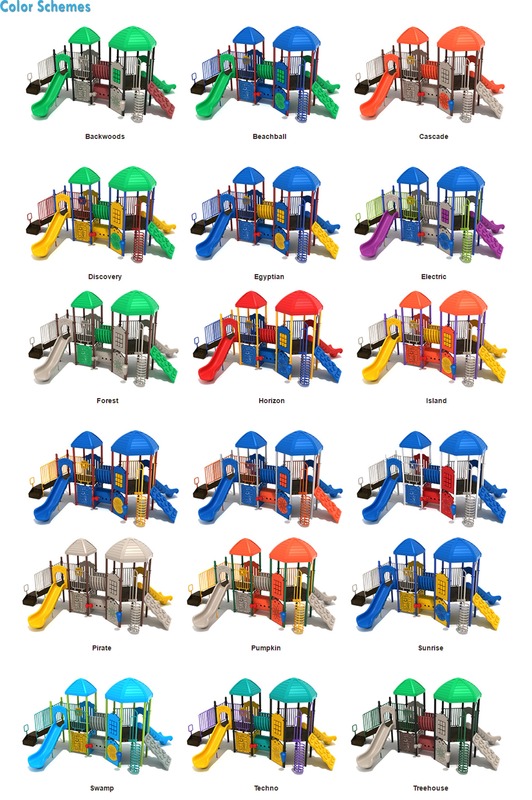 Pro Playgrounds provides our customers with access to the largest selection of commercial playground equipment in the United States. 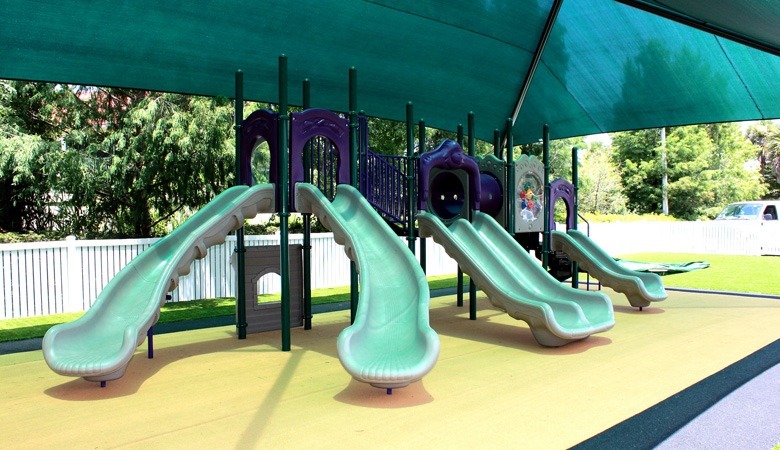 We work with several of the leading commercial playground equipment manufactures, giving you access to a variety of commercial playground structures and other items like swing sets, merry go rounds and spring riders. We have an innovative online quoting system that allows our customers to build quotes online. Just simply browse our selection of commercial playground equipment and accessories, then add them to your quote cart. We show you the prices up front, without the hassle of sales reps and a lengthy quoting process. 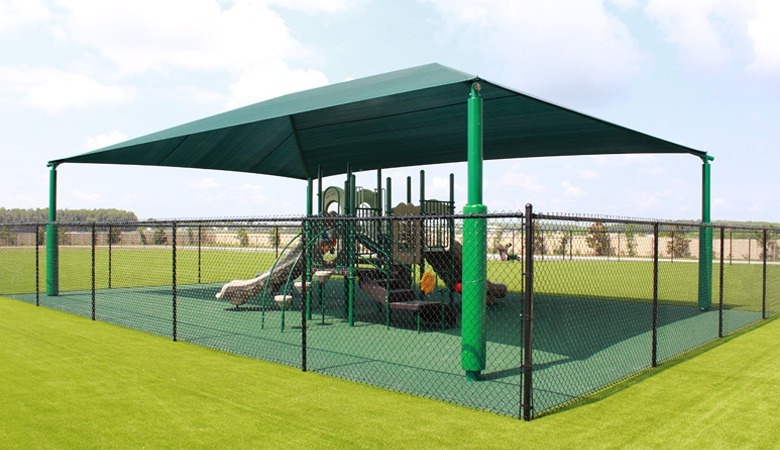 All of our commercial playground equipment meets or exceeds safety standards set forth by ASTM and CPSC; and all of our commercial playground equipment products are IPEMA certified. In addition to offering the safest commercial playground equipment, we also back it up with an industry leading 100 year warranty. 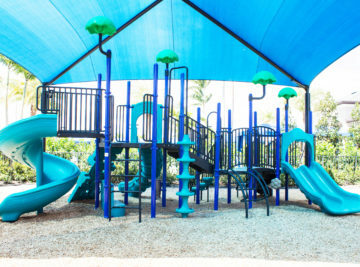 Pro Playgrounds offers complete playground installation services. We are one of only a few companies that can offer complete installation services from the ground up. 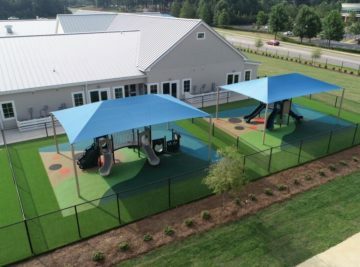 This means we will handle everything, from the playground design phase, to playground permitting, the playground equipment installation, the surfacing installation and even provide you with a certified playground safety inspection. 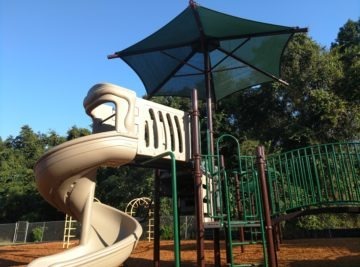 We specialize in playground design and installation, and have the experience to create and install playgrounds and playground equipment that are unmatched within the playground industry. Playground installation requires a firm understanding of both simple and complex building principals. At Pro Playgrounds have spent years acquiring this knowledge and experience. 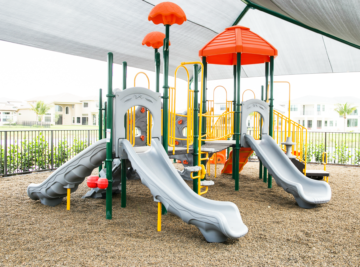 In addition to knowledge, possessing the proper tools and understanding how to use them is why we are able to install playgrounds with acute precision and typically in a very short period of time. We pride ourselves on paying close attention to details when building our playgrounds, we believe that perfection is attainable, and we strive for this standard in every playground, no matter how large or small. 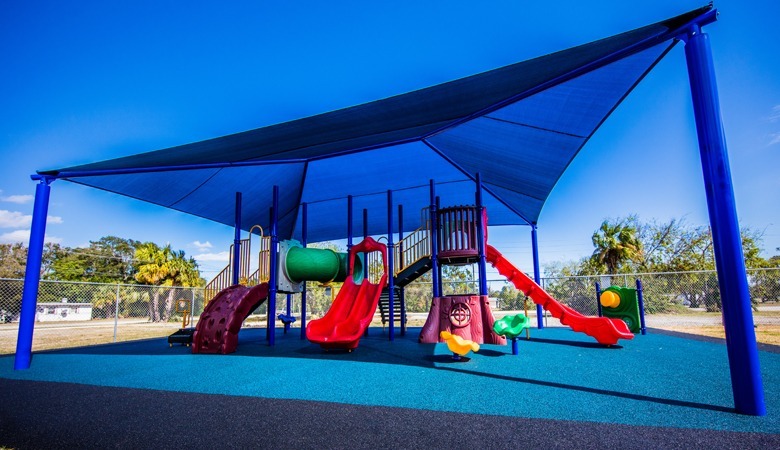 Pro Playgrounds utilizes a completely mobile installation team, allowing us to travel to you anywhere in the United States and install your playground equipment. 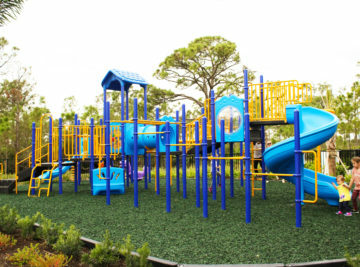 Our team of professionally trained playground installers have the capability to tackle even the largest playground installation with ease, utilizing the latest technology and equipment to make every playground installation flawless. Playground site planning, playground engineering, playground permitting. Concrete forms, slabs, and foundation work, ground clearing, compaction and grading. Drainage and water management planning and implementation. Installation of commercial playground equipment and components. On site metal fabrication and welding. Playground surfacing installation, including poured in place rubber, rubber mulch, artificial turf and more. 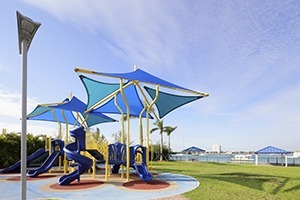 Installation of virtually all types of recreational and outdoor park equipment, including benches, picnic tables, water fountains, pavilions, bike racks and more. Over the years there is not much we have not had to overcome on a job site. 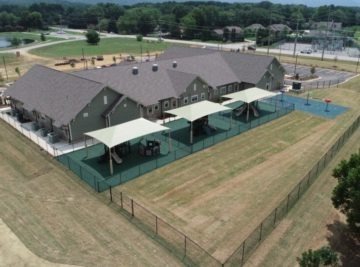 We have years of general building experience amongst the members of our team; allowing us to properly plan and execute the playground installation process with the capability to address any unforeseen problems professionally and in real time and make changes as needed on the fly. Although commercial playground equipment is built to last a lifetime, there will come a time when playground maintenance is needed. Playground equipment can eventually wear out from age, in climate weather or vandalism. 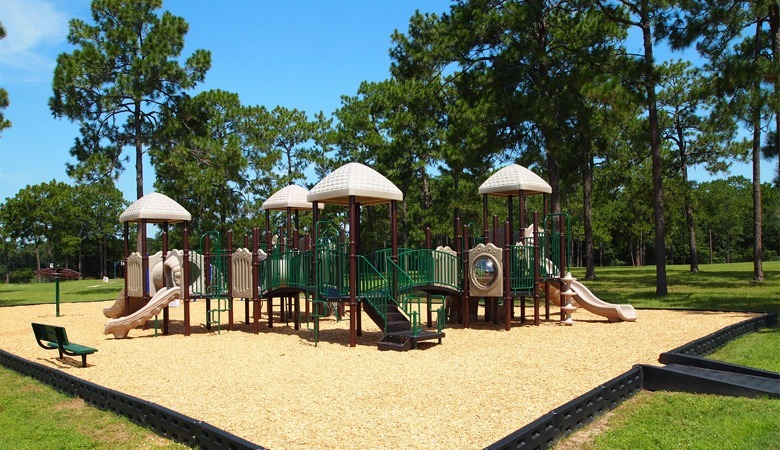 Pro Playgrounds offers complete playground maintenance and repair services to our clients. We are professionals in playground repair and maintenance. 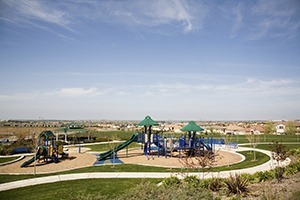 We have outstanding relationships with nearly every major playground manufacturer and distributor in the United States. This allows us to find even the most difficult replacement parts. For out dated or discontinued parts, we can have them custom fabricated or install a newer updated version of the equipment. 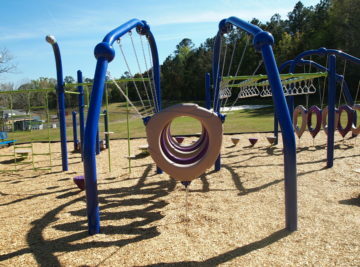 Deciding on the right playground equipment for your playground can be a daunting task. 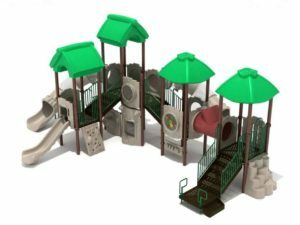 Playground equipment manufacturers offer a multitude of pre-designed playgrounds as well as endless possibilities with custom designed one of a kind playgrounds that are tailored for your needs, space and budget. 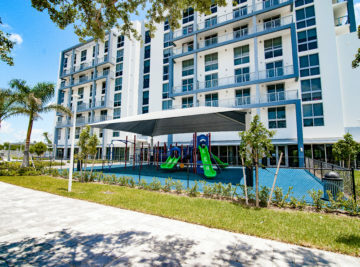 Modern playgrounds are modular; this means that the can be continuously modified, expanded and customized, adding additional playground decks, slides, climbers and features. Pro Playgrounds works closely with the biggest, the best and the most trusted playground equipment manufacturers in the United States. 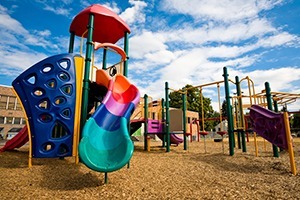 Commercial grade modular playground equipment. ADA accessible commercial playground equipment. 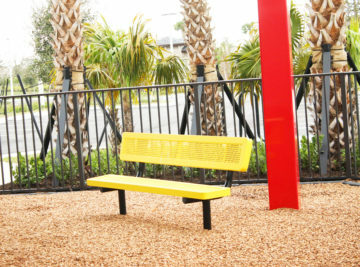 Custom commercial playground equipment designed to meet your needs and space. Playground climbers of all shapes and sizes including rock and rope climbers. Commercial swing sets including single post swings and arch post swings. 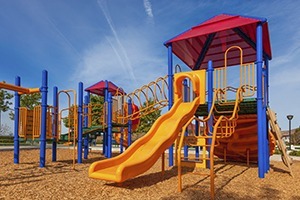 A variety of auxiliary and freestanding playground structures including spring riders, merry go rounds, monkey bars, see saws, jumping pods and more. Ensuring the playground equipment is age appropriate for the children who will be using it. 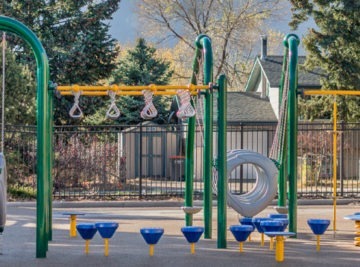 Determining which playground equipment will safely fit into the playground area and have the capacity to accommodate however many children may be using it. 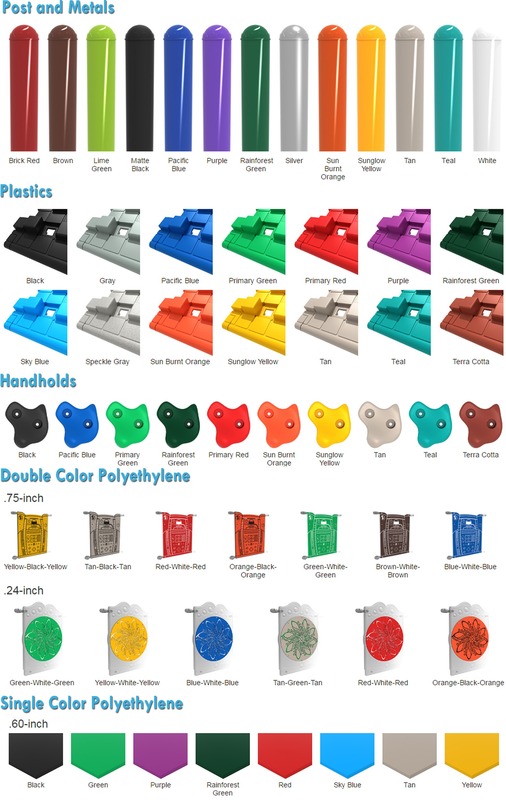 Ensuring that the playground equipment options we provide have the features and accessories that you want. Making sure that the layout and configuration of the playground equipment works well in conjunction with any playground accessories or amenities you may want. Analyzing critical fall height requirements of the playground equipment to ensure that adequate safety surfacing will be in place and how this may impact the cost for such surfacing. We have developed a playground questionnaire that we use in conjunction with our playground planning guide. Once you have filled out the questionnaire we can use the information provided to begin designing your playground. 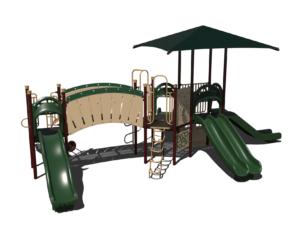 We then will provide you with multiple playground options and playground accessory configurations that fit within your budget. 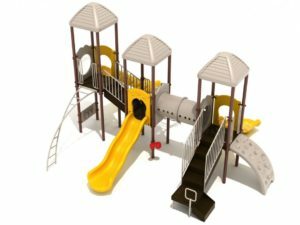 Pro Playgrounds has access to the largest selection of playground accessories in the United States. 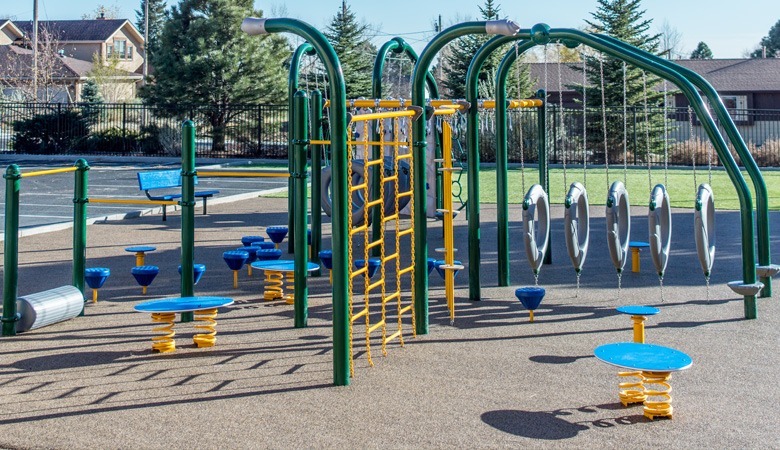 Playground accessories such as spring riders, see saws, merry go rounds and swings are a great and affordable way to add more activity to your playground and control traffic flow. Playground accessories are also a great way to theme a playground. Determining the amount of space available for playground accessories. Choosing playground accessories that challenge children both mentally and physically as well as encourage group play and social development. Finding the right balance between risk and fun for your playground; we inform you of the potential hazards of playground accessories based on our experience and industry knowledge. Playground accessories are an excellent way to increase playground capacity and also control traffic flow. Playground accessories also allow you to implement features into the playground that are more attractive to older children as they can pose more difficult and challenging tasks such as climbing and balancing. 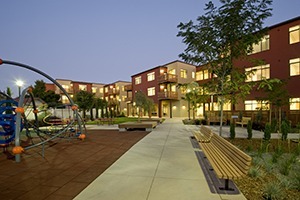 This encourages children of all ages to use the playground. 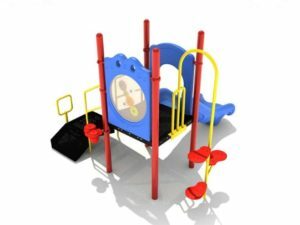 All of the playground equipment we sell is commercial grade and made of the highest quality materials, which meet or exceed required ASTM guidelines, and meet ISO 9001. All of our products are IPEMA certified and comply with CPSC guidelines. Our long list of certifications and qualifications include the following: ISO 9001, IPEMA, ASTM-1487, ASTM CSA-Z614 and EN1176. Limited 15-year warranty when used as rail, rung, loop, etc. Limited 15-year warranty when used as rail, rung, loop, etc. -year warranty when used as rail, rung, loop, etc. This depends on where your project is located and the scope. In most states you will not need a permit for just a playground. However if you are installing a shade structures or if the installation is for a commercial facility you may need permits. We will research and handle all of this for you. A repaired or replacement part is covered only for the original warranty period. All warranties begin on the delivery date of the goods. Warranties are non-transferable and only apply to end users who purchase new products directly from Pro Playgrounds or an authorized Pro Playgrounds distributor for personal or business use and not for purpose of re-distribution or re-sale. No other warranties apply. 100 year limited warranty on aluminum and steel upright posts against structural failure due to deterioration, corrosion, or workmanship. 100 year limited warranty on hardware against structural failure due to deterioration, corrosion, or workmanship. 100 year limited warranty on post caps and clamps against structural failure due to deterioration, corrosion, or workmanship. 15 year limited warranty on rails, rungs, rigid climbers, loops and decks against structural failure due to deterioration, corrosion, or workmanship. 15 year limited warranty on all HDPE and rotational molded plastic components against structural failure due to materials or workmanship. 3 year limited warranty on all blow molded plastics against structural failure due to materials or workmanship. 3 year limited warranty on Child Center units, all models. 5 year limited warranty on cables and nets against premature wear due to natural deterioration or manufacturing defects. 5 year limited warranty on moving parts against structural failure due to materials or workmanship. 1 year limited warranty on all materials and products not covered above against failure due to materials or workmanship. Our playground equipment is perfect for daycare and childcare centers, we will help you select age appropriate equipment. Churches are a place for families, our playground bring more families to church on Sundays and help increase membership. Our playground equipment is commercial grade and designed to meet the abuse of school age children and constant use. Our playgrounds are great for parks and help beautify spaces and bring communities together through play and socialization. Our playground equipment provides additional amenities and value to your community, bringing together its members.